Our customer service representatives are here to help because you are our priority. Whenever you have a question or need more information, our reps know our products and can answer your questions. If you’re having trouble placing your order, we have the technical skills to resolve the problem and provide solutions. Maybe you don’t feel comfortable placing online orders; we’ll place the order for you! Have a suggestion about our site or products we carry? 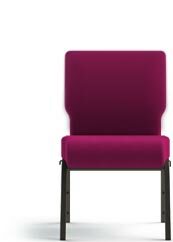 Would you like to leave feedback about a recent experience you've had while shopping with Church Chairs 4 Less? Please enter your contact information and comment/question on this form. We will respond to you during our normal business hours. Comments/questions submitted while our offices are closed will be followed up the next business day. Filling out this form will not cancel your order if it has already been shipped. A customer service representative will contact you regarding cancellation requests. When you visit our product showroom, located in the heart of Canton, GA, you’ll find a wide selection of our chairs in 2000 square feet of showcase space. While you’re here, you can see and feel the quality of our products firsthand, maybe even take a couple chairs for a spin. Our associates will answer your questions and give you the personal attention you deserve while you shop in a relaxing and low-pressure environment. We do not stock all items in our showroom at all times! Please call to schedule an appointment with one of our associates to ensure that the item you want to see is available for display when you’re here. The last appointment of the day is scheduled at 4:00 pm to allow plenty of time to leisurely browse our selection without feeling rushed. We can answer all your questions and you can place your order before our Order Processing department closes for the day. Let us know when you’re in the area. We’d love to show you around!